The Easter season is less than two weeks away. By God’s grace, so much of the world turns their attention to the resurrection of Jesus. It is a wonderful privilege to celebrate His complete work and have so many aware of it. It is also an amazing opportunity to invite friends, co-workers, and family to worship. At least in America, many people consider attending a worship service on Easter. Some do it out of tradition, others do it out of guilt, but no matter the motive, inviting others to worship is just a bit easier. Prayerfully, churches will focus on the work of Jesus and not gimmicks. Giveaways and tricks are not necessary. Fellowship and worship around the resurrection of Jesus is enough. It can be, however, a personal challenge to worship on Easter, don’t you think? Many have attended dozens of services, and the songs and moments are the same. To enable your worship to be vibrant this year, Gospel Rich Books is releasing two books for your personal devotion. 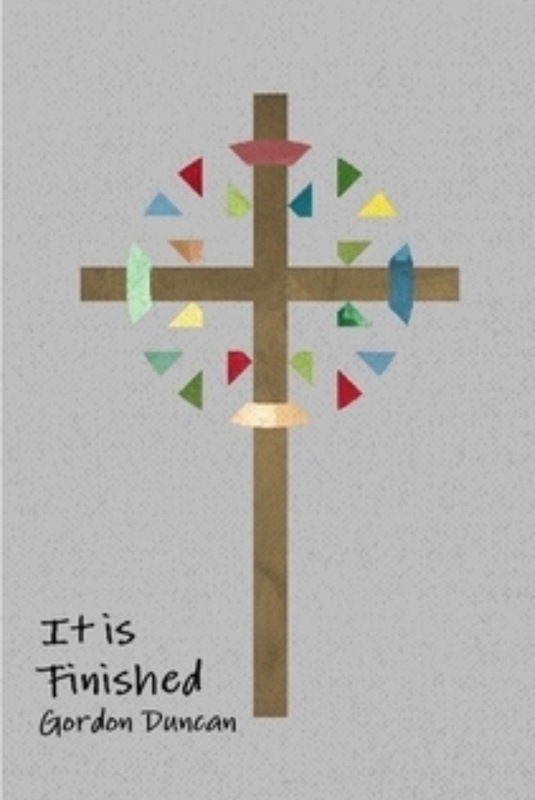 The first is “It Is Finished” which is a sweet meditation of the scriptures surrounding the events from Good Friday all the way to resurrection morn. You can find it here. The second is “Easter – Simple Sermon Solution”. This book follows the same themes, but its focus it to help any who might have the privilege of speaking or leading a Bible study around the Easter Season. It offers a great methodology for organization and delivery. You can find it here. No matter what, please take this Easter season to rejoice yet again for the finished work of Christ. It is our sole hope and joy for this world and the world to come. This entry was posted in amazon, autobiography, biography, books, christmas, cs lewis, deacon, easter, new year, pca, publishing, reformed, running and tagged amazon, books, christmas, easter, gordon duncan, gospel, mens issues, publishing, resurrection. Bookmark the permalink.